Since hearing of the shooting in Connecticut, people have been giving up their weapons in Brooklyn. The Mount Ollie Baptist church in Brownsville is one of the two places in the borough that participates in a gun buyback program run by the Police Department and Brooklyn’s district attorney’s office. Participants in the buyback program are paid up to $200 per weapon; those with functioning weapons are given a debit card. Non-functioning weapons were good for $20. The area has seen a huge problem with gun violence. A woman told the pastor of the church that the shooting in CT had spurred them to turn a gun as they did not want it on their conscience. Another stated that there were many cases of children being shot in this area, which had spurred her to turn in weapons. On Saturday evening the Brooklyn district attorney’s office reported that police had accepted 134 working guns, including 31 semi-automatic pistols, 80 revolvers, four rifles, three shotguns and a sawed-off shotgun. Just Shoot The Gun Out Of His Hand! 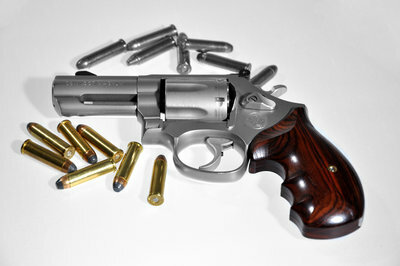 Subject: LongIsland.com - Your Name sent you Article details of "CT Shooting Spurs Gun Buyback in Brooklyn"